Sweden is one of the best destinations if you love nature. It is characterized by virgin nature and dozens of natural wonders. The country is famous for its forested areas, lakes, national parks, rivers and even waterfalls. In some of the previous articles I have already presented you numerous natural wonders of Sweden. Below I will present you the most beautiful waterfalls in Sweden. These are the following: the Trollhättan Falls, the Döda Fallet, the Njupeskär, the Brakkåfallet and the Hällingsåfallet. If you are a nature-lover, willing to visit pure natural beauties and your destination is Sweden, you are reading the right article. These falls are surely worth visiting attractions of the country. 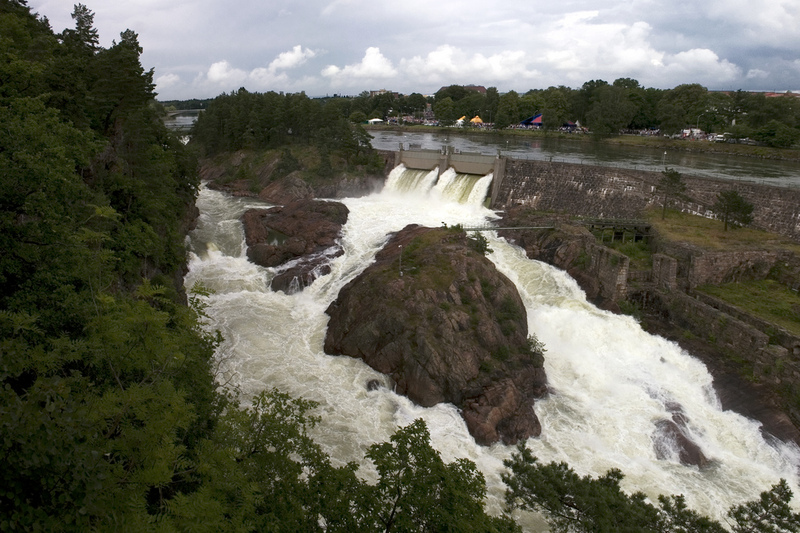 The Trollhättan Falls is situated on the GöteRiver, in the central part of Trollhättan. The height of this natural wonder is 32 m. The waterfall is very popular among tourists. There is even a festival held at the waterfall every July, on its third Friday. It is called the “Days of the Waterfalls”. This event attracts numerous visitors. You shouldn’t miss it either. The Döda Fallet is situated on the Indalsälven River, in the eastern part of the country, more precisely in RagundaMunicipality. 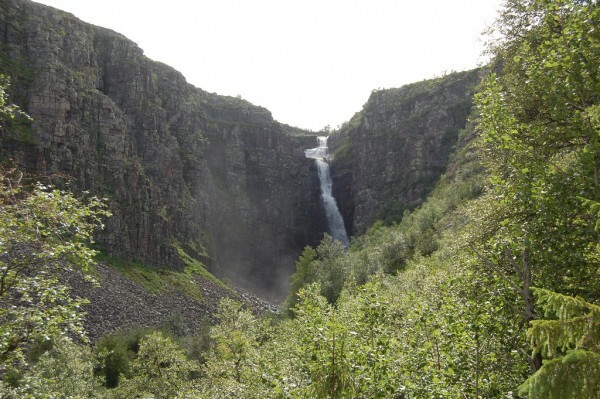 The height of the waterfall is about 35 m. This wonderful waterfall is one of the most visited natural wonders in Sweden partly due to its location in the Döda Fallet Nature Reserve. If you are a nature-lover, I suggest you to visit it. 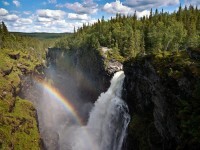 This wonderful waterfall is situated in the Fulufjället National Park, on the NjupånRiver. Njupeskär is also very popular for tourists partly due to its location in this scenic national park. 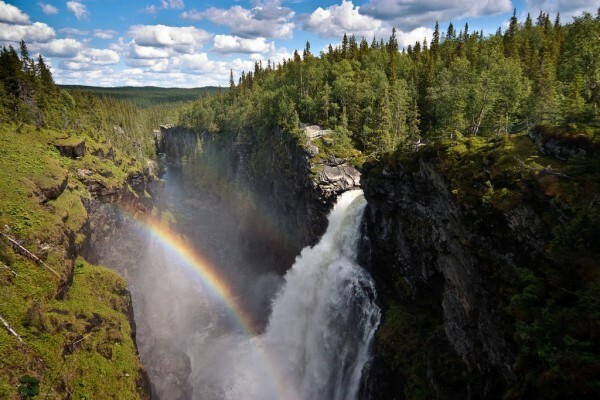 The height of the wonderful waterfall is 125 m. The Njupeskär waterfall is one of the highest waterfalls in Sweden. It is meritorious to visit. I am sure you will return home with great memories. The Brakkåfallet is situated between Stora and Jorm Blåsjön. This amazing waterfall is perhaps the most romantic and idyllic waterfall in the country. If you love peaceful atmosphere, this waterfall can be your perfect sight to visit. The Brakkåfallet is very famous due to its appearance in many Swedish movies. The Hällingsåfallet is situated on the Hetögeln River, in the nature reserve with the same name, about 20 km south of Gäddede city. The height of the waterfall is about 43 m. This wonderful waterfall is also popular for tourists in winter season, when the waterfall turns into a huge “ice sculpture”. The Hällingsåfallet is worth visiting in both summer and winter season.